Parallel to the global narrative about Africa’s economic progress, the discussion about private equity in the region has taken on a bipolar nature—either there is too much money chasing too few deals or there is a dearth of capital for African countries’ entrepreneurs. The Economist warned in 2015 that “too much money is pouring into too few funds, chasing the few big deals on offer”. At the same time, the IFC estimates that “up to 84 per cent of small and medium-sized enterprises (SMEs) in Africa are either un-served or underserved” in terms of access to capital. Given our collective decades’ worth of experience in advising and investing in African markets, we believe that both statements are true and to bridge the gap the private equity industry needs to have a Goldilocks moment of right sized money for Africa’s next wave of growing companies. African private equity (PE) is gradually emerging as an institutional asset class. In the 1990s, there were about a dozen Africa-focused PE firms, collectively managing about $1bn. The number has since grown to more than 200 firms, managing more than $30bn. Between 2010 and the first half of 2016, there were 928 reported deals, with a value of $22.7bn. Firms raised $17.3bn from 2010 to the first half of 2016, and invested in every region of the continent. But of new money raised in 2015, nearly 70 per cent is accounted for by three of the largest funds—Abraaj, DPI, and Helios. Given their size, they need to make large cap investments in order to efficiently put the capital to work and the pool of potential targets is limited. There are currently only 400 companies in Africa with annual revenues greater than $1bn. McKinsey and Boston Consulting Group, however, have estimated that there are more than 10,000 African companies with revenues of $10m to $100m. Many of these SMEs would be well served by PE and the expertise and discipline it can bring, especially since they are operating in previously under-developed high growth sectors that have yet to reach scale, such as education, healthcare and other consumer-facing industries. Due to changes in commodities prices and shifts in national economic policies, the import and extractive industries that dominated African economies for decades are giving way, allowing these consumer-facing firms to enter critical growth phases that lead to economic transformation. And these companies need capital in the form of equity or mezzanine tailored to their needs. A new wave of missing middle funds will create a dynamic pipeline of future investments for the bigger, traditional players in African private equity. Growing currently smaller African companies into larger companies is not only good for private equity firms at all points in the financial value chain; it is also good for economic development. Unlike in traditional private equity in North America and Europe, which has focused on leveraged buyouts (LBOs) and on cutting staff to economise and create efficiencies, one important result of growth-focused private equity in Africa is job creation and capacity development. While LBO-focused PE fires, PE in Africa hires. A study by the African Venture Capital Association (AVCA) examined 199 African companies backed by private equity between 2009 and 2015. These companies generated a net increase of 10,990 jobs, a growth of 15 per cent. And financial firms participating in the study created 6,399 jobs, 62 per cent of which were occupied by women. The AVCA study also found that PE firms in Africa educate investees and transfer actionable skills, implementing job-quality initiatives and strengthening competencies in human resources, corporate governance and general management. More and better jobs translate into aggregate positive effects on, among other things, health and education. Both are contributors to stability, which is conducive to creating an attractive business environment for new companies, the development of which will in turn make it easier to find new growth-oriented targets for middlemarket funds, starting the virtuous cycle again. Given the dire need to create jobs for millions of young people and the positive outlook for small and medium size companies, the middle-market Africa PE space should be of greater focus for institutional investors and their gatekeepers. While African countries account for 3 per cent of global GDP, they make up less than 0.1 per cent of institutional investor portfolios. The expansion of investment allocations for first-time funds and emerging managers, alongside the creation of fund of funds that can bridge institutional investors’ constraints and the relatively small size of middle-market funds, would go a long way to supporting the next wave of PE investment in African markets. The more right-sized funds step into the missing middle, the more everyone will benefit. Aubrey Hruby is co-founder of the Africa Expert Network and co-author of “The Next Africa” (Macmillan, 2015). Joanne Yoo is a managing director of CBO Investment Management and co-founder of the Africa Alternative Investment Intensive. 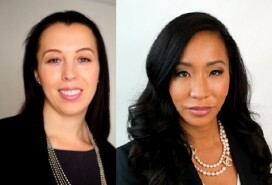 They are both members of the Private Equity Women Investment Network (PEWIN).